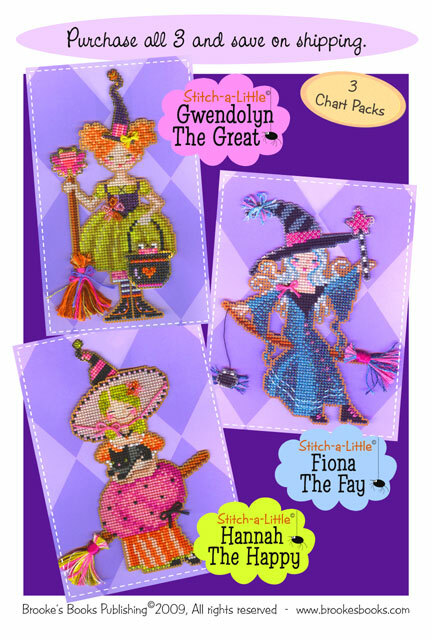 Put a sweet face on Halloween with the Ginger Babies© and their friend "Jack". 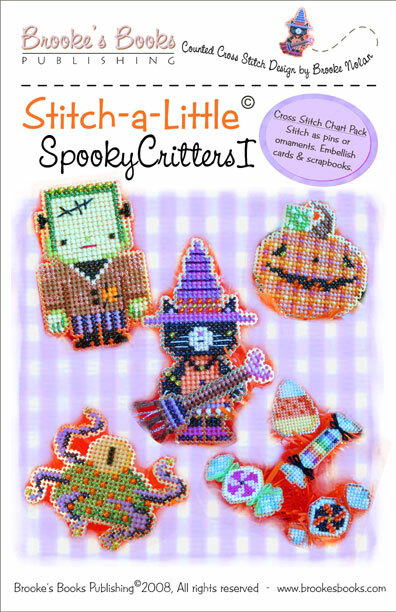 Chart Pack Includes: Yarn Tree perforated paper, Mill Hill® beads, tapestry & beading needles, and chart with finishing instructions for sampler & cookies. Approximate Finished Design Size: 15.5" x 11" (Not including frame and perforated paper cookies.) Finished perforated paper cookies are approximately 4" x 4". 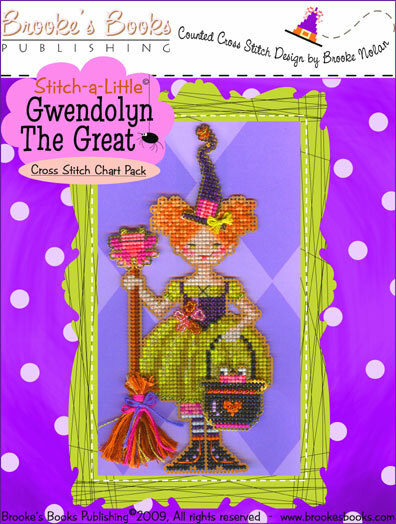 Includes: Metallic Gold perforated paper, Mill Hill seed beads, tapestry & beading needles, 3 pin backs and chart with instructions. Finished dimensions: Approximately 1" x 2" each. Stitch-a Little "Gwendolyn The Great"
Finished dimensions approximately 3" x 6.5"
Stitch-a Little "Fiona The Fay"
Stitch-a Little "Hannah The Happy"
1 each - Stitch-a Little "Gwendolyn The Great", "Fiona The Fay" and "Hannah The Happy"
Click here to download the Material List for Gwen. 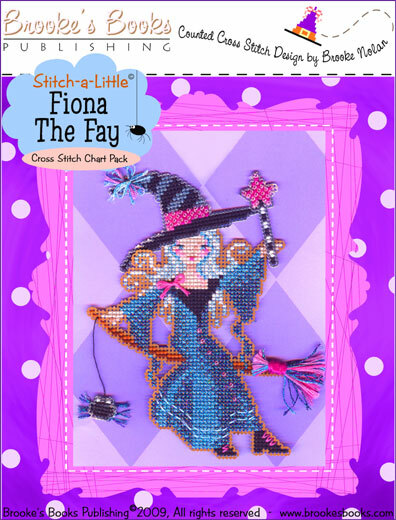 Click here to download the Material List for Fiona. Click here to download the Material List for Hannah. 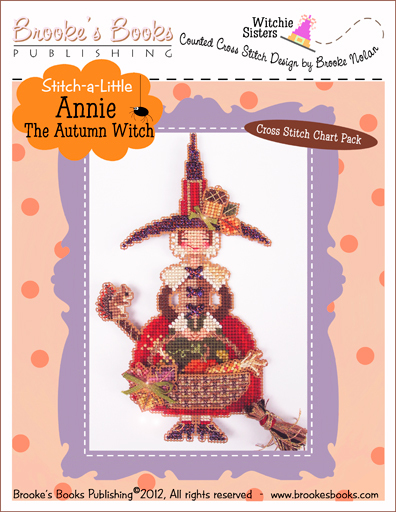 Includes: Witchelt Imports' Antique Brown perforated paper, Mill Hill seed beads, tapestry & beading needles and charts with instructions for all three ornaments. 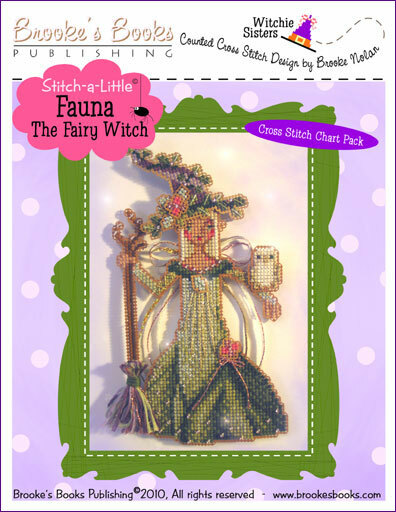 Click here to download the Material List for Fauna. 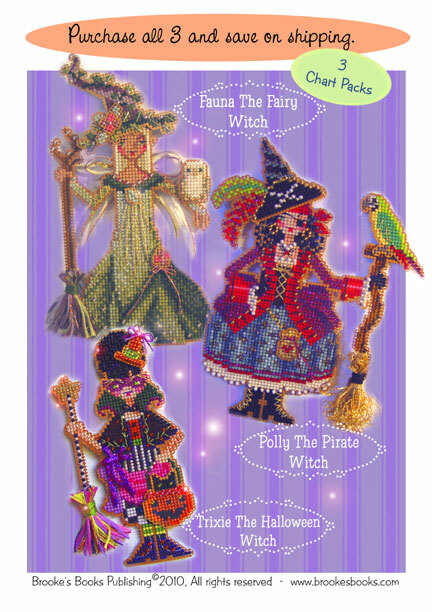 Click here to download the Material List for Polly. 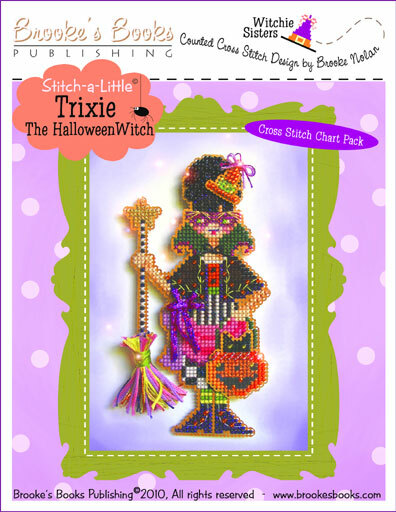 Click here to download the Material List for Trixie. 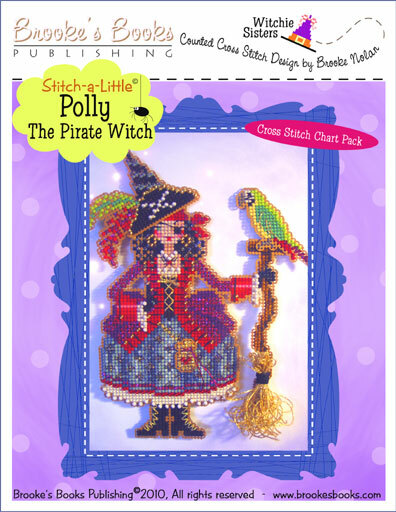 Stitch-a Little "Polly The Pirate Witch"
Includes: Witchelt Imports' Antique Brown perforated paper, Mill Hill seed beads, tapestry & beading needles and chart with instructions. Finished dimensions approximately 4.5" x 6.5"
Stitch-a Little "Fauna The Fairy Witch"
Mill Hill seed beads, tapestry & beading needles and chart with instructions. 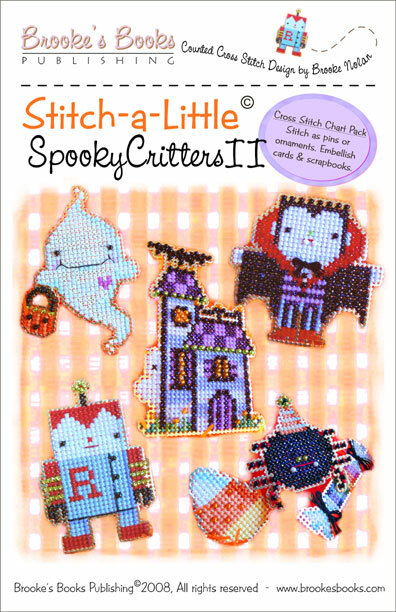 Finished dimensions approximately 4" x 6.5"
Stitch-a Little "Trixie The Halloween Witch"
Includes: Witchelt Imports' Antique Brown & Metallic Silver perforated paper, Mill Hill seed beads, beading needle and charts with instructions for all four ornaments. Click here to download the Material List for Sadie. Click here to download the Material List for Sandy. Click here to download the Material List for Annie. 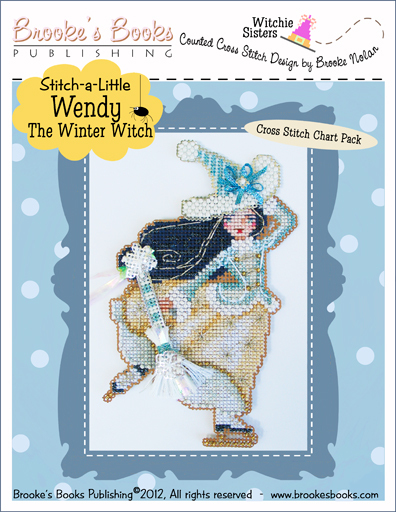 Click here to download the Material List for Wendy. 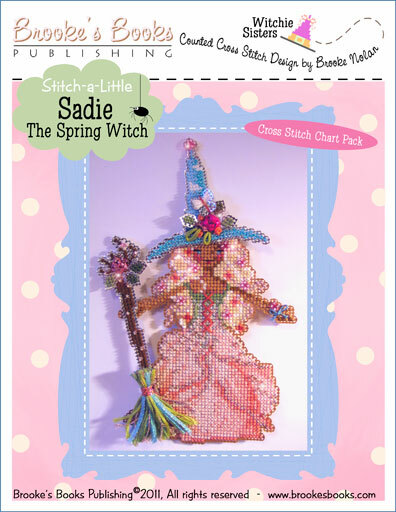 Stitch-a Little "Sadie The Spring Witch"
Includes: Witchelt Imports' Antique Brown & Metallic Silver perforated paper, Mill Hill seed beads, beading needle and chart with instructions. Your choice of ribbons may be substituted. 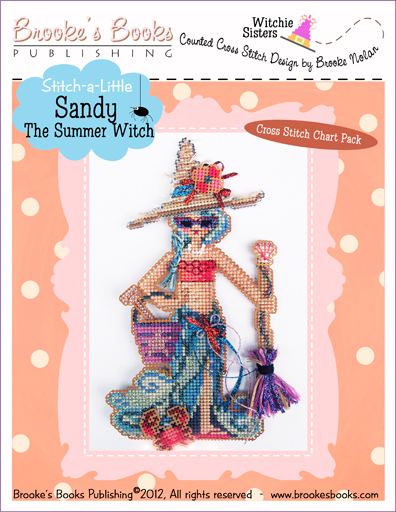 Stitch-a Little "Sandy The Summer Witch"
Finished dimensions approximately 3.5" x 6.5"
Stitch-a Little "Annie The Autumn Witch"
Includes: Witchelt Imports' Antique Brown perforated paper, Mill Hill seed beads, beading needle and chart with instructions. Finished dimensions approximately 4.5" x 7"
Stitch-a Little "WendyThe Winter Witch"